Skype (and other VOIP) Guitar Lessons are rapidly increasing in popularity. These days, many guitar teachers are offering lessons this way. The benefit that attracts the most advanced guitar learners is the possibility of studying guitar with an established performing guitarist. There are many guitar teachers in the world, but in your area there may be only a few—or even none at all. It is reasonable, especially for advanced musicians, to seek truly credible guidance. There are some great players offering lessons this way, including Dylan Ryche (new age fingerstyle), Grisha Goryachev (flamenco and classical), Chris Buono (funk and fusion), and many more. If you book a lesson with one of these guys, be sure to bring your checkbook. Although you may be pleasantly surprised to learn that it is within your budget, it is usually not cheap. For players who are not yet advanced enough to consider lessons with the world’s top players, there are good reasons to consider Skype-based teachers as well. Especially if you don’t live in a major metropolitan area, the teachers near you may not be quite what you’re looking for. Their personality may not fit, or they may not inspire confidence. Professionalism varies among guitar teachers, but the standard is unfortunately low in many places. For many students, this is a big appeal. Some learners will Skype with their teacher even when the teacher is in the same city. Commuting to and from a weekly lesson can remove 1-2 hours of productive time from your calendar each week. Some of these students also alternate between Skype and in-person lessons. Skype lessons sometimes have a sharper focus than in-person. There is less room for distraction. The teacher must use his or her ears and get into the student’s mind, directing them carefully towards a result. Some of the best guitar lessons unfold in this way. In addition to webcam, the teacher is also able to share a desktop screencast with the student. Being on the computer adds more support for the teacher who likes to create lesson notes, resources, and links. Teachers can create tabs or other files on the fly and send them to the student. Learning guitar on Skype is not all positive. There are some disadvantages you’ll need to consider if you decide to try lessons via this route. The teacher has a responsibility to ensure their own equipment and connection are in good order. But students sometimes have more difficulty maintaining a reliable setup. This is always a consideration. Technical difficulty can derail the lesson in the worst cases. If the student is unable to make stable calls, the teacher may need to decline to do further Skype lessons with the student. High-Speed internet is a must. Both parties should check their internet speed before the lesson if trouble is expected. Modern laptops and desktop computers are recommended. Older computers, tablet devices and mobile phones have mixed results. Long distances can aggravate speed problems. For example, calls between any two points in North America are usually okay, but calls between continents sometimes have problems. A good quality webcam is helpful. Consider using something like the Logitech HD Webcam[? ]Affiliate Link. Be sure the microphone is high-quality, especially if it is built-in. If you’ll call from a fixed location, the Yeti USB Microphone[? ]Affiliate Link is a great choice, and also good for recording guitar. If there are speed issues, it helps if the teacher (temporarily) turns off his or her camera to give more bandwidth to the audio stream. Due to latency issues, the teacher and student cannot play music together. This means that the student can demonstrate, and then the teacher can demonstrate, but the two can’t play together in real time. This can be quite a good thing in some cases. Too many teachers rely on the ability to manipulate a student’s hands or posture to get a different result. But the student only has about 30 minutes of lesson time per week, so they do need to be able to learn the correct technique on their own time. 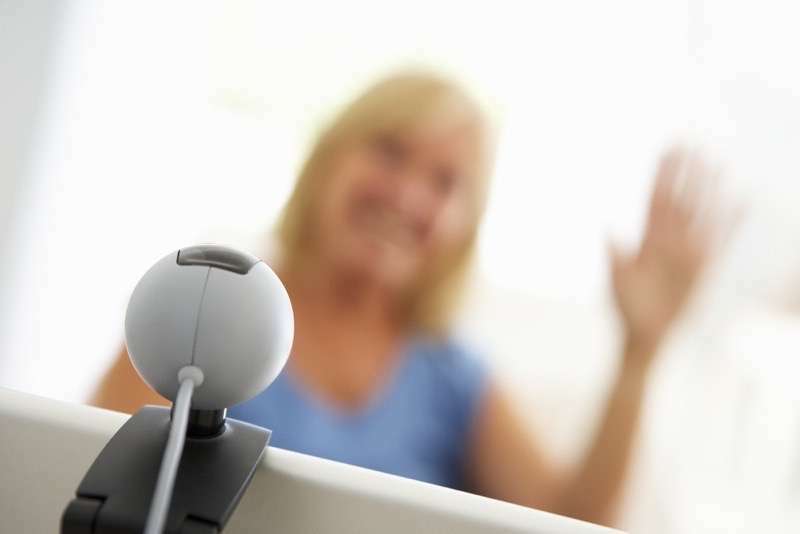 However, it is often a good idea to help the student move their fingers into the correct position, and this can only be done verbally when using Skype. Skype-based guitar lessons are on the rise. If you can’t find a local teacher you’re interested in studying with, consider expanding your search by opening up this possibility.